AT&T declared a quarterly dividend of $0.50 a share on the company’s common shares. The dividend is payable on Nov. 1, 2018, to stockholders of record at the close of business on Oct. 10, 2018. Pfizer (NYSE:PFE) declares $0.34/share quarterly dividend. Payable Dec. 3; for shareholders of record Nov. 9; ex-div Nov. 8. I hold STWD in both my taxable and tax-deferred accounts. Starwood Property Trust is a REIT that originates and services commercial mortgages and takes equity positions in properties. The company is one of the largest in the industry with a very experienced management team. This is meant to be an introduction to the company, not an in-depth analysis. Do your own homework if you decide this could be a good investment for your portfolio. Starwood operates through seven verticals. They’re also affiliated with a number of other companies in the real estate industry. 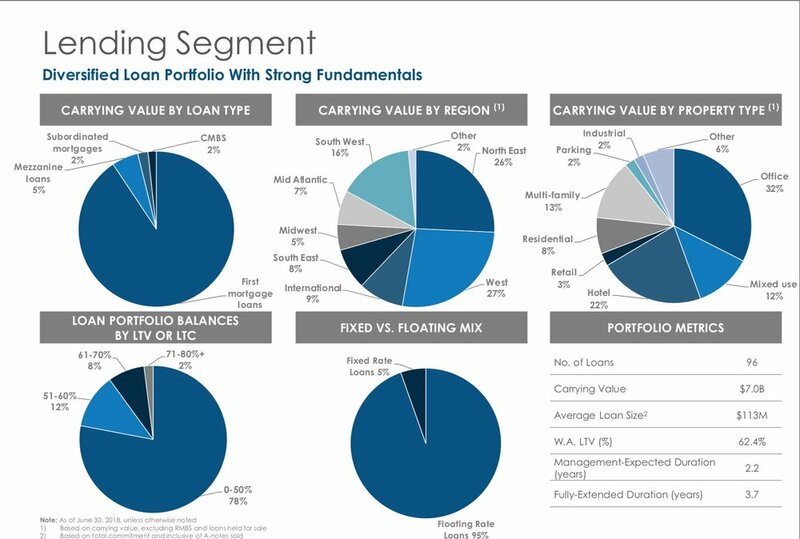 Starwood’s lending segment focuses on first mortgages and mezzanine loans. The company is well diversified by property type with an emphasis on Office, Hotels, Multi-family, and Mixed Use. Starwood also invests directly in commercial properties. Much of Starwood’s investments are tied to a floating rate, protecting it from a rising interest rate environment. As a REIT, Starwood distributes the majority of it’s earnings in dividends. As of this writing, the dividend rate is 8.8%. My name is Steve, and I got into investing three years ago when my 25-year marriage ended. Between losing most of my home equity in the Great Recession and a good portion of my net worth in my divorce, I decided I would do my best to salvage my financial future by saving what I could for my retirement. This blog will chronicle my journey, and hopefully along the way provide insight to others about restoring a financial future in the aftermath of a divorce. My second portfolio a High Yield portfolio housed within an IRA account I started after my divorce. It’s much smaller than my taxable account but I add the allowed $6,500 every year (I’m over 50 so I’m allowed to add an extra $1,000). This is my experimental portfolio that is invested in high-yield securities. It’s currently yielding 5.8%. 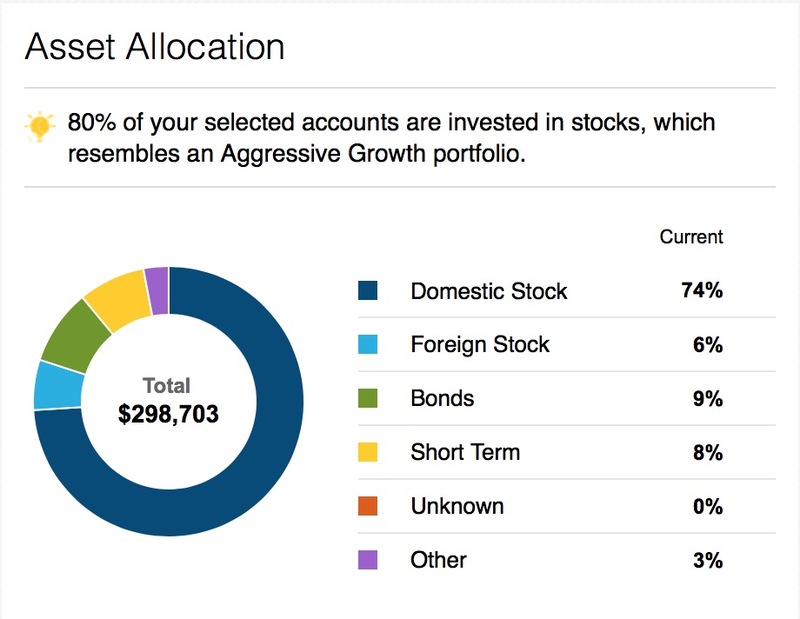 In case your wondering, my third portfolio is my rollover IRA where I accumulate funds from previous employers’ 401(k)s. It’s invested mostly in mutual funds and ETFs. 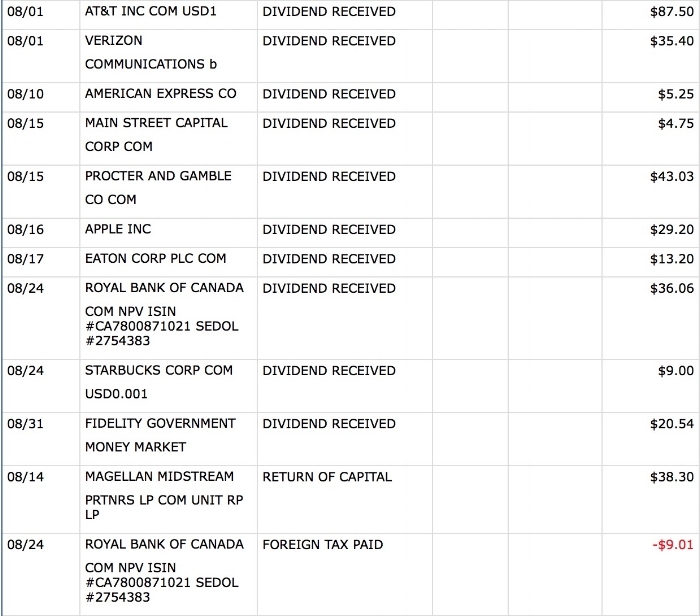 Eventually I will likely convert those funds to individual dividend stocks, but for now it serves as a sort of hedge against my individual stocks. Those funds are invested in low-cost index funds, a few sector funds, some bond funds and a preferred stock fund (PFF). My plan is to update my portfolios quarterly so you can see what I’m investing in. Along the way I hope to have a conversation with others about the picks, and what opportunities I might be missing. Ultimately, I hope that I and others can learn more about investing, and recovering financial from a divorce or other life event that knocks us off our feet. There is always hope.